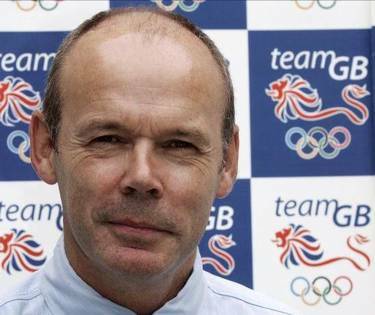 Clive Woodward. Why every client should have one. “My role isn’t to do players’ jobs for them. My job is to ensure that every player performs to their potential and as part of a team”. The last decade has seen the emergence of a whole new ball game. The collective response of the communications industry has been twofold. Firstly, diversification into a multitude of different and varied operations ; secondly, generalisation …historically all props had to do was scrummage; now they expect themselves to run, catch, pass and lift in the lineout too! With so many new players and such a new and more complicated ball game, how does a client – our bewildered  Chairperson – approach who decides tactics? Who does Communications Planning on a brand? “The discipline of developing a holistic plan, across marketing and trade marketing functions … beyond simply selecting channels and allocating monies … defining the proposition … identifying the best consumers … creating a ‘big picture’ … weaving together every aspect of a brand’s communications” (Jim Taylor, Space Race). One of several different models is generally adopted. The client may opt to do it themselves, but clients are limited in what they can achieve without agencies . The chairman has, at some point, to relinquish control to the team, generally via a lead or all-agency model . However there are two key flaws to both. One, individual agencies can never know enough about other disciplines to ensure CP they derive consider every perspective. It’s like asking prop-forward to plan a game strategy incorporating the nuances of the role of fly-half; the knowledge required is too broad and getting broader all of the time . Two, Buckminster Fuller’s principle: “If all you have is a hammer, every problem looks like a nail” (as quoted in John Grant’s After Image). A player will never take themselves off the pitch; the very concept that any one agency can comprehensively and without bias write CP that excludes themselves is fundamentally compromised. Given this fact, its little wonder CP as a discipline hasn’t found momentum . The Chairperson lacks the resources to implement CP, but tasking any – or many – of the players to be in charge is flawed. Yet the pitch is packed with a team of talented and skilled individuals, many of whom excel in their individual positions. The client’s problem isn’t a lack of players; the client’s problem is lack of a structure to ensure that the positions all play as, and in the best interests of, a team. What the chairperson needs …is a coach. Coach is not a communications planner; coach does not dictate a plan. Coach facilitates the establishing of match strategy and negotiates who’s on the pitch at any given time. Coach is independent and neutral. Coach is ‘T-shaped’; with historical grounding in one area but with a broad extent of shallow knowledge across a range of disciplines. Coach captures the Communications Plan without composing it. Coach work alongside agencies, coordinating their collective input. Coach is independent of execution, and remunerated by client based on an annual fee. Coach comes from anywhere; from within the client, from an auditor, from a management consultant, or from agency holding companies. Coach doesn’t set objectives but champions them once agreed. Coach utilises a ‘Connections Wheel’  ensuring no consumer touch point remains unexplored. Coach’s success is measured by the collective success of the CP agencies. Coach is mobile but operates a shared workspace available to all agencies. Coach is gatekeeper to the unified budget. Coach’s perspective is from the view of the entire team, thereby keeping an eye on competitor CP, as opposed to the most visible and measurable aspects of it. Coach talks to the trade as well as consumer marketing. Coach only expresses an opinion when they have to. Coach highlights incongruities and abhors contradictions. Coach maintains a position of independence by virtue of the fact that at no point will Coach ever step on the pitch; that’s the agencies’ territory; across which each position is free to play their own role by their own rules. Agencies – as players on the pitch – need to let go of CP; which won’t be easy. But release brings freedom to do what they each do best; to play and perform in the knowledge that they’ll have a dedicated resource ready and willing to involve them and incorporate their ideas and recommendations into CP. By letting go, agencies win for themselves the freedom to play their own game as part of a wider culture in which ideas can come from anywhere, and are communicated to everywhere, to the benefit of everyone on their team. Q: What approach should a client take in terms of who does communications planning on a brand? A: Hire their team a Coach. Fast. Once content is digitised, not only it can exist in any digital channel, but move seamlessly across channels. It is this intrinsic that led William Gibson to first comment that “The remix is the very nature of digital” – ie digitisation of data and content facilitates transformation – remixing – of that content. Example of on demand include RSS (Really Simple Syndication) which automatically relays content deemed relevant to the consumer, and IPTV (Internet Protocol Television) – TV via broadband, which is currently seeing substantial investment by UK TV companies. To quote Rob Norman in his speech Do Different “In the final analysis the world has gone on demand. That puts it beyond our control”. Reasons for clients outsourcing Communications Planning are varied and well documented. They can’t source quality talent, nor pay for them – their headcount doesn’t justify it. Nor can they justify the investment of purchasing and integrating all the systems and data they’d need to comprehensively implement CP internally, especially for what is essentially seen as a cost centre for the business. Plus they’d lack external benchmarks from other clients. The lack of progress is noted by Tom Morton writing in Campaign; “Comms planning as a standalone department within agencies hasn’t been a great success”, one possible explanation is offered by John Grant in After Image who notes that “The in-fighting seems, if anything, to be pulling some agencies and consultancies back from innovation, towards lowest common denominators”. The Connections Wheel is a tool developed by TBWA, and described by Jean-Marie Dru in Beyond Disruption. I’m not suggesting that the Connections Wheel is the specific solution for every coach, but a tool that enables the Communications Planner Coach to ensure that all potential routes are covered will be essential.